By judgment of 28 June 2018 (C‑564/16 P), the CJEU rejected an appeal filed by the EUIPO. The case was, in essence, about whether and to which extent the EUIPO could or even had to take into account its own previous decision practice, including findings of fact (namely, that the trademark relied upon has a reputation) from previous cases. The General Court had gone quite far in imposing on the Office that it take such findings into account and potentially even request evidence from the opponent. The appeal of the Office was unsuccessful. 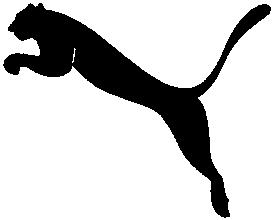 Background: In 2013, PUMA SE opposed GEMMA GROUP S.r.l.’s EUTM application for the mark shown above on the right relying on its trademark rights for the leaping cat. Puma relied on Art. 8(5) EUTMR, which provides protection against misappropriation and dilution for reputed marks. To prove its earlier marks’ reputation, Puma provided, inter alia, references to previous EUIPO decisions recognizing this reputation. The Fifth Board of Appeal dismissed the appeal, holding that Puma had not provided sufficient evidence of reputation. It refused to take into account the EUIPO decisions referred to because Puma’s references to these were vague and Puma had not indicated the precise submissions in the earlier cases that it intended to rely upon. Puma went to the GC where it prevailed (9 September 2016, T-159/15). The GC held that the Office had to either provide reasons for deviating from its earlier decisions or ask the opponent for further evidence. The CJEU dismissed the appeal by the Office, stating that there was no specific formalism to be followed when submitting evidence for reputation so that any reference to earlier decisions was acceptable. It further interpreted the GC as having held that such a reference does not constitute a valid reference to the entirety of the evidence submitted in the earlier cases. It concluded that where the EUIPO decides to deviate from its previous findings related to the reputation of the same earlier mark(s), it should provide reasons for that. Comment: The judgment is surprising. It appears to contradict constant case law of the EUIPO confirmed on multiple occasions by the GC and CJEU, whereby previous decisions do not have a binding effect (for instance, CJEU 16/06/2015, C-400/14P, Basic / BASIC, § 52 and the case-law cited therein). What is more, in recent decisions (e.g. GC 01/06/2018, T‑900/16, DAYADAY– discussed also here), the GC scolded the EUIPO for “assuming” that an earlier mark had a reputation (to then reject oppositions based on other reasons, such as lack of similarity of marks or absence of unfair advantage). Rather, the EUIPO has been obliged to assess the precise level of reputation of an earlier mark in each individual case. That does not fit in with the Court’s finding that the EUIPO should rely on a finding of fact from an earlier case without the corresponding evidence having been fully introduced in the proceedings. Finally, the procedural rules in the EUTMR and in the Delegated Regulation leave little room for the Office requesting evidence from an opponent. Reputation is a finding of fact made in a specific case based on specific evidence on which the other party has been allowed to comment. EUIPO has a duty of neutrality in inter partes proceedings and can only rule on the evidence introduced in a particular case. It is not for EUIPO to make the case for the parties or ask for evidence. Therefore, in the absence of a specific and precise identification by the opponent of the evidence on which it intends to rely, the Office should disregard evidence which the applicant did not have and on which it could not comment. Even though the judgment of the CJEU might at first sight make life easier for owners of marks with a reputation, it opens a can of worms for inter partes proceedings before the EUIPO: it tacitly introduces a quasi-binding character of previous findings of facts, contrary to consistent case law and creates legal uncertainty regarding the reference to earlier EUIPO’s decisions as a means of evidence for proving reputation of a mark. Applicants must be on their toes and are best advised to take such references by opponents seriously and, if need be, request the specific evidence to be relied upon from the opponent. If the Court had (finally) introduced a rule whereby truly well-known marks can be assumed to have a reputation without massive evidence being filed every time, that would be fabulous and a clear rule. As things stand, however, the judgment does not contribute to clarity, or to procedural economy.